Chatbots present a wide variety of potential benefits for companies, employees, and buyers. People will work smarter, better, faster and more efficiently with the help of their digital co-workers. Need help? Call us today! Chat has been with us since very nearly the dawn of the internet. You’ve probably used it yourself, whether it was through an instant messaging program, in one of AOL’s original chat rooms or more recently to communicate for business purposes. The introduction of artificial intelligence has taken chat to the next level, allowing for the creation of ‘bots,’ or machines that can interact with humans in real time and hold productive conversations. With the cost of this technology reaching attainable levels, small and medium businesses can now enjoy extra processes completed through the use of chatbots, but just how are these newly automated assistants best put to use? You may have encountered a chatbot the last time you did some online shopping or went to file your taxes using a software-as-a-service app. Maybe you thought, “That’s neat,” but never considered whether such a thing could be helpful for your business. In the past, the cost of chatbot software was prohibitive. Now, more and more companies are offering affordable chatbot services for both internal and customer-facing roles. A good example is the popular communication software Slack, which uses bots in a multitude of ways to help chat participants find things and leverage resources shared by colleagues. Deploying a chatbot for your business is simpler than you might think. 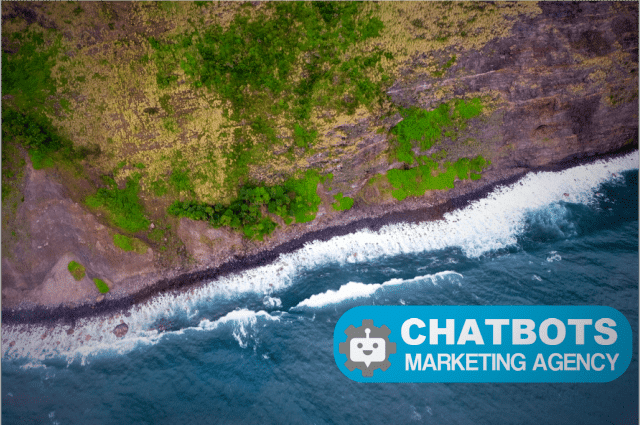 Typically, the company that makes the chatbot available will ask to “crawl” your website and any cataloged data you want the chatbot to have access to. 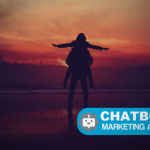 There are also chatbot solutions on the market that need no additional training of the bot and allow easy and quick integration into your system. In a hybrid solution such as from e-bot7, the bot gets trained during the operational business and steadily increases its knowledge base. With other solutions you’ll need to arrange an integration between data feed and the bot, if there are data feeds that the bot needs to process on a regular basis to be well-informed. Then, you can customize the dialogue between the bot and customers — either internal or external — and send it out to save the planet! Okay, so maybe solving world hunger isn’t a reasonable request for your chatbot. You can still benefit by making use of bots in many ways that will enhance your productivity and help customers. Bots are excellent at filtering large datasets based on just a few questions. You might not realize how frequently you and everyone around you do this, but just consider how many times you run a search on Google daily. Now imagine you had an automated assistant to follow through based on the results of your search. That’s a chatbot! 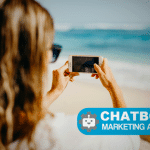 If your company frequently sends employees abroad, you could configure a chatbot to help them make travel arrangements. It might request the destination and date of travel, and then submit cataloged data for that employee to a travel agency and reply back with a set of options at different times and prices. Or maybe you’re in HR and need to quickly screen a huge number of new applicants before arranging for phone or face-to-face interviews. Rather than calling them yourself or waiting for them to reply to a survey, you can send them a link to a chatbot that will collect their answers to multiple questions and catalog each. It might even do some scoring for you! Customer service is another area in which cycles can be saved by a chatbot. Many customers want to self-solve their product issues, but particularly when it comes to technical subjects like software, there are just too many potential issues, and people give up. A chatbot can quickly crawl your knowledge base and then open a dialogue with customers to identify their issue and supply the right content. Some bots can even complete simple operations like password resets. With machine learning, these bots will get better over time as you analyze their behavior and add new content to your database. In each of these examples, your employees are free to take care of more complex tasks while chatbots help keep your business organized and moving forward. This setup can reduce overhead costs since you can do more with a smaller team, and it helps keep the stress of small tasks from piling up. Some people have been opposed to the use of these new tools, citing that they can fail too often or don’t provide accurate information. It’s possible that early renditions of chatbot services gave some people bad experiences. What’s more likely, however, is that they worked with bots that weren’t optimized. You should expect to spend a little time and effort getting things right, but once you do, the cost of an effective chatbot will be far less than that of an employee. It will also multiply the productivity of your team without adding costs for benefits, training, and bagel Wednesdays.